The Madison area is home to a vibrant and growing information technology industry. Companies range from small start-ups to large, well-established enterprises, and from companies whose primary products are software to those that use software to support their infrastructure. These companies have an urgent need to hire new professionals. Open positions include full-time, internship and part-time opportunities, with openings for students at all degree levels. The Madison Area Computer Sciences Job Fair provides an excellent opportunity to connect CS students with area companies and career opportunities. For more information, or if your company would like to participate in this job fair, please contact Professor Barton Miller at bart@cs.wisc.edu or (608) 263-3378. If you are not on the job fair mailing list and would like to receive information on how to participate, please email Professor Barton Miller at bart@cs.wisc.edu. 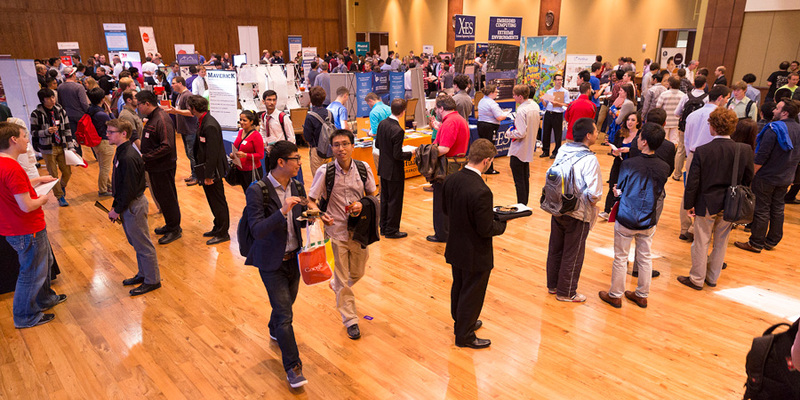 Note that the Computer Sciences Job Fair is open to companies with a Madison area technical hiring presence, or who are members of the Computer Sciences Department’s Industrial Affiliates Program, or who are government agencies. There is no student registration for the job fair. Students should bring their student ID and current copies of their resume. Be prepared to interview with the representatives in attendance.